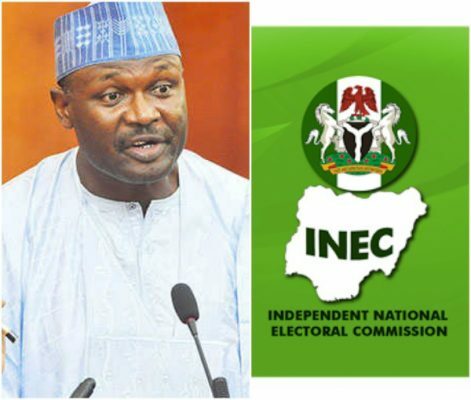 The Chairman of Independent National Electoral Commission (INEC), Prof Mahmood Yakubu has harped on the need for members of the twenty-three (23) newly registered political parties to abide by the commission’s guidelines and regulations, obey electoral act and submit to the constitution of the federal republic of Nigeria. Yakubu gave the charge yesterday while formally presenting the certificates of registration to the chairmen of the new parties at the commission’s headquarters in Abuja yesterday. transparent, inclusive and peaceful primaries for the nomination of credible candidates for the elections. He reasoned that by doing so, they (the newly registered parties) will give Nigerians greater choice, thereby adding value to nation’s democracy and strengthening the quality of elective representatives. His words, “As political parties, you have an obligation to respect you constitution, your members abide by INEC guidelines and regulations, obey electoral act and above all submit to the constitution of the federal republic of Nigeria. “2019 general election is only 183 days away from toady (yesterday). You should try and make a difference to politics and elective representation by conducting open, transparent, inclusive and peaceful primaries for the nomination of credible candidates for the elections. The INEC Chairman said that the political parties were registered having satisfied sections 222, 223 and 224 of the constitution of the Federal Republic of Nigeria as amended. The 23 political parties, he explained, emerged out of the 144 applications received by the commission so far from associations seeking registration as political parties. He added, “I wish to congratulate the chairmen and leaders of the new political parties for meeting the criteria enshrined in the constitution for you registration as political parties. “Needless to add that from today (yesterday), you are recognised as political parties under the law. From today also you have equal status with any political party in Nigeria. “This means that you can sponsor candidates for elections including the 2019 general elections. However since the commission has closed nominations for the osun state governorship election holding on the Sept. 22, none of you can sponsor candidates for that election. “From today you are also member of the IPAC and you will be invited to regular consultative meeting with INEC and all political parties and you will also be involved in all activities organised by the commission involving political parties”, he said. Meanwhile, the formal commencement of 2019 general elections will begin today (Friday August 17, 2018) with the publication of Notice of Elections. According to Prof Yakubu, “Already the commission has concluded arrangements for doing so in all our offices nationwide as required by law. “I wish to assure you that the commission will continue to work closely with all political parties. I urged you to fully support IPAC as a very important avenue for bi-partisan consultation and representation in your interface with INEC at both the National and state level. “The commission is deeply worried about our elections particularly the way they are becoming increasingly monetised”, he stressed. Responding on behalf of the new parties, National Chairman of African Action Congress (AAC), Mr. Omoyele Sowore, called for a new political order in the country, stressing that Nigerians are tired of parties that brought hopelessness to the country. Sowore insisted that the new parties have the ardous responsibility of rescuing Nigerians for that state of hopelessness.